Jane’s pregnancy was announced in February 1537 and she experienced a trouble free pregnancy up to the time that she went into labour. The birth of the child however was long and difficult, taking two days and three nights to be delivered. The baby was eventually delivered at around two o’clock on the morning of the 12th October. As this is the eve of the Feast day of Edward the Confessor the baby was named after this Saint. 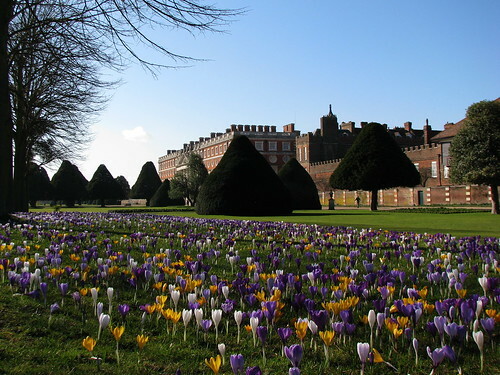 Jane was able to sit and greet guests prior to the christening on the 15th October at Hampton Court but two days later her health had seriously deteriorated and she was given the last rites. By the 24th of October, Jane was dead. 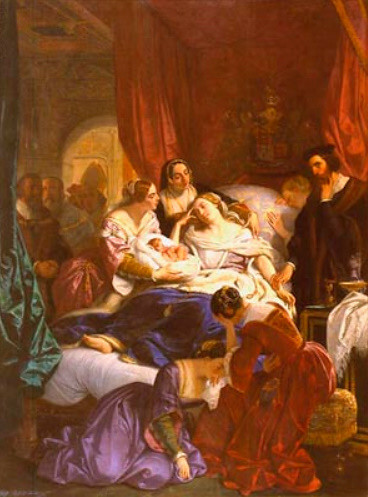 I asked a Midwife colleague at Birmingham City University to consider what is known about Jane Seymour’s death, to give her opinion about what happened to Jane Seymour and how this would be handled if it happened today. Because of her elevated social position we can perhaps assume that Jane was a relatively fit and well nourished young lady. It is very likely that the complications which led to her death were caused by the difficult labour and especially the length of time it took to give birth. The most likely cause of the extended labour would be that the baby was not positioned well in the womb – making it more difficult for the woman to give birth. The uterus is the muscle that does the job of pushing the baby out of the womb and after a long labour it can become exhausted. Because this muscle was exhausted it is more likely that the placenta surrounding the baby would not be completely expelled. Even though remaining placenta might only be the size of a thumbnail, this would always cause an infection once it began to decay. Further problems would be caused by the fact that internally, Jane would have been left with open wounds. She had experienced a lot of pain, lost a lot of blood, and would have been physically and mentally exhausted. In this physical state she would have been more open to infection and once infected, her body would have been less able to fight it. There was no understanding of microbial infection and no effective treatment for infection. The presence of dirty cloths and hands during and after the labour would be a very likely cause of infection. In a modern situation things would be much different. Firstly, the mother and baby would be closely observed by the Midwife who would record the mothers blood pressure and temperature as well as the baby’s vital signs. Any sign of undue distress would lead to a hospital admission and probably a caesarean section ( there are records of this operation being performed in this period to save a baby when the mother was dying – there are no known instances of a mother surviving such a procedure). Modern knowledge of drug treatments to help labour as well as understanding of causes of infection and the use of antibiotics mean that in developed countries such deaths from infection are rare. When writing about Tudor times we often find ourselves telling stories that still have some relevance today and sadly, this story is no exception. The problems that killed Jane Seymour nearly 500 years ago are still causing women to die every day. According to the World Health Organisation(WHO) maternal mortality is still very high in some countries. The WHO estimates that pregnancy or childbirth related problems cause around 1500 deaths a day! – these deaths are mostly from avoidable causes. Also White Ribbon Alliance an international coalition campaigning to ensure that pregnancy and childbirth are safe for all women and newborns in every country around the world. This article about Jane Seymour really reminds me of the birth of my first child. He managed to get stuck and it was a very long labour ending in an emergency caesarean when his heart beat dipped. It sounds like Edward was in a funny position in the birth canal and I’m sure if Jane had been in labour today, she would have had an emergency caesarean. It’s amazing really that they both actually survived the birth, although Jane obviously died a few days later. Poor Jane! I am studying the Tudors at school and Jane Seymour’s labour with Edward VI is somehow of great interest to me. This really helped me, thank you! Both of my children were spine to spine, I had a long and very painful labour which resulted in a much needed and C section. I am so thankful to the staff for the safe delivery of my children and fully appreciate there are women overseas who don’t have the excellent medical care I received. Catherine of Aragon died during Henry’s reign, and she was not beheaded. Only two of his six wives were. Women still dying – they are those stupids who are decide to gave birth at home. We need to do everything we need to make them go to the hospital – even against their will. Lexa… Research has shown that in western countries there is no evidence to support that giving birth at home is more dangerous than giving birth in hospital. As for forcing a mother to do something against her will, i.e making her deliver in a hospital,rather than at home, would be removing her right to choice. Get some education. That’s totally false. Women who are low risk and birth at home with a certified midwife are at no higher risk of death than in a hospital. Midwives are trained in every aspect of birth, including emergencies and if need be, they will transfer to a hospital. Thanks for the comment but I think you have missed the point somewhat. I am pretty sure that the deaths referred to are overwhelmingly happening in places which lack basic medical facilities. Whilst I am certainly no expert I don’t think that home births in Western countries are associated with significantly different mortality rates. I did a brief study on the women in one family spanning the late Tudor/early Stuarts. Interestingly there were no deaths in childbirth, although one of a pregnant woman, although of course this isn’t really surprising as although birth fatality rates were shocking by modern standards (I can’t remember the estimated number I read, but it was mid single figure percentages over a woman’s life) my sample was quite small. Very sad that she left her son motherless. 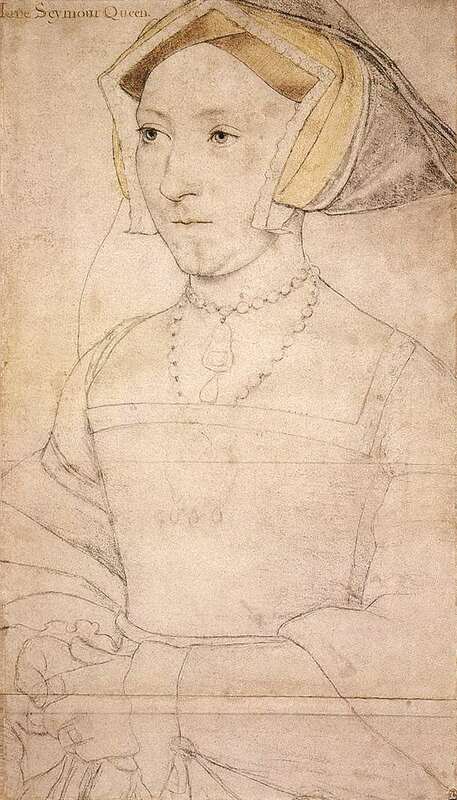 Jane Seymour was the only one of Henry VIII’s wives to be buried as Queen, and to give him a living son. manuals of the time advised midwives to wash their hands, so things would not have been that dirty. but there were no antispetcis or antibiotics. My novel ‘The Queen at Leisure’ covers the birth and all eighteen months of Jane’s reign. Available for pre-order at Amazon now. That was very interesting to read thank you . Reminded me of my first grandsons birth. 53 hours! I cried while watching this on “The Tudors”. 46 years ago I nearly died in childbirth in almost the same reasons.My son and I were saved by emergency caesarean, he was brought out almost dead and I was very ill.
My second and last child was also born by emergency caesarean after he got stuck in my pelvis two years after. Poor unfortunate Jane, no doubt had she lived then Henry VIII would not have become so infamous for his many wives, and he and Jane might have had another male heir. Cleanliness in the sick room was not unknown in those days but unfortunately this ‘new’ idea hadn’t extended to the midwives of the royal household. Poor Jane.